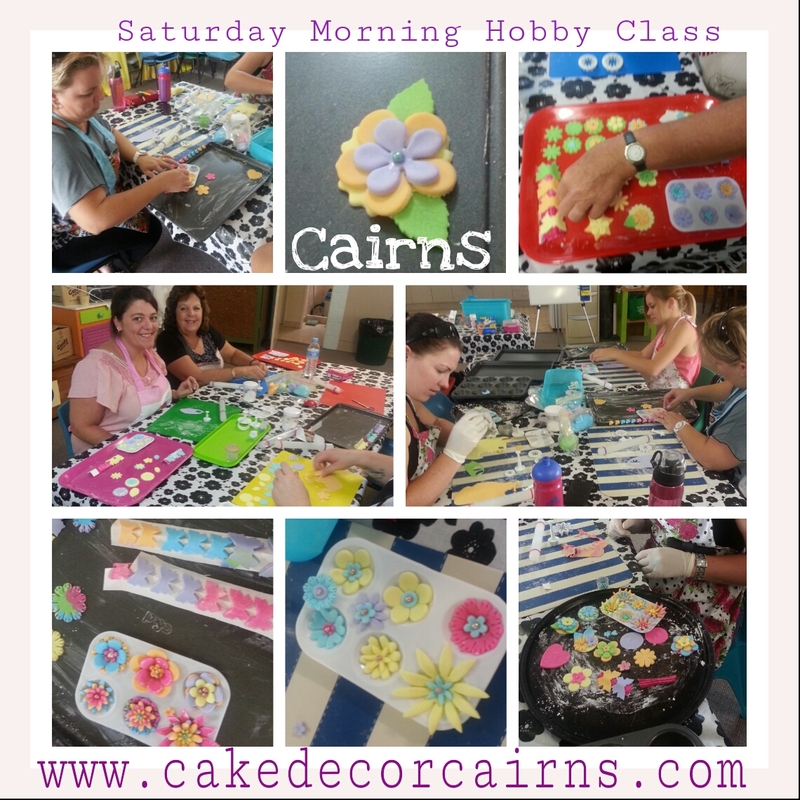 Cake Decor in Cairns: Community Cake Decorating Classes - hobby prices for home bakers. Community Cake Decorating Classes - hobby prices for home bakers. 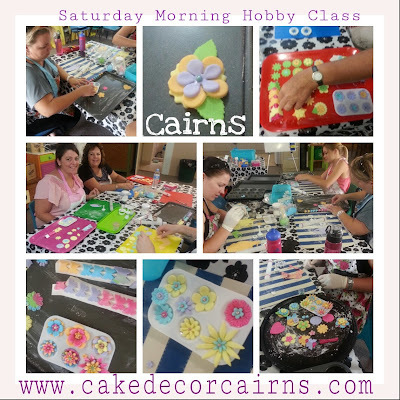 When I started my Cake Decor in Cairns facebook page and blog I had no idea how it was going to grow. My plan was to simply share ideas, have a place for home bakers to show off their creations and have a small amount of affordable cake decorating tools available for local amateurs. Largely this is still what I am doing but have also taken the ideas, tips and how to's offline and into the local Cairns Community! 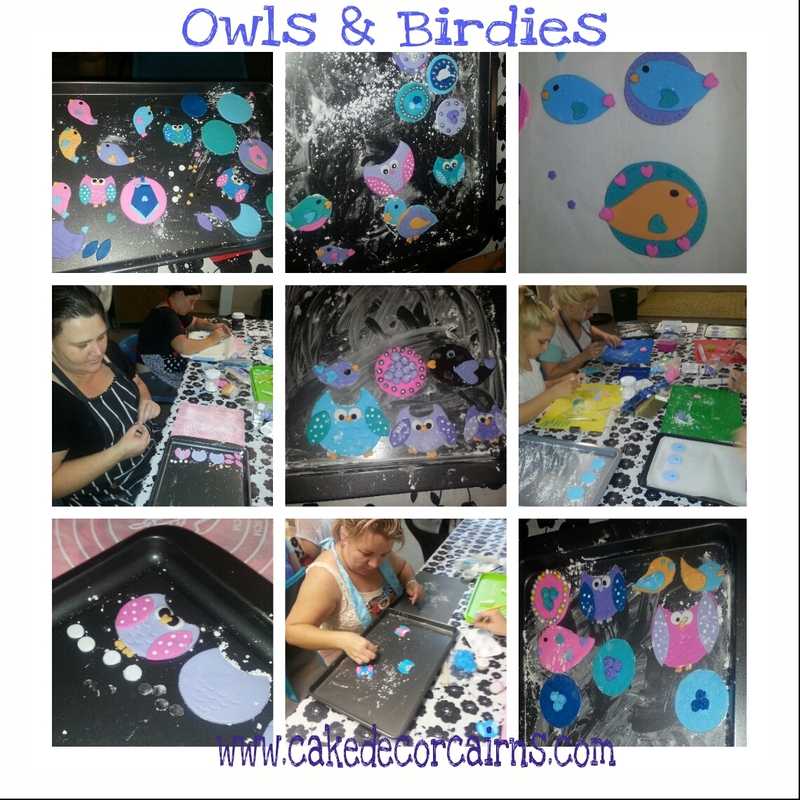 Earlier this year I was invited by a community Centre to host a couple of basic beginners classes. I was never intending to do anything like this but it started to make sense. I love cake decorating, I love showing people how to save money and do it themselves and I have always believed in equitable access. This invitation was the ideal environment to provide cheap diy hobby sessions at an affordable price. I make no secret that I am an amateur. What you see is what you get. I don't sell my cakes, even though I always get requests. I have a Bachelor of Education, and Workplace Trainer & Assessor so it started to make sense that yes I can do this! I am currently hosting some hobby sessions at the local Girl Guides Hall which have been very popular! I do my best to keep costs to a minimum, ensuring my vision of a community based hobby that is affordable to as many people who would ordinarily not be able to afford professional classes. So far the most popular session is learning the basics of fondant (gumpaste/sugar paste) and I'm talking about the very beginning. We're not ganaching and covering cakes, we're learning what fondant is, where to buy it cheaply, how to treat it for modelling and unlocking the mystery of gel colours and edible glue. Every one gets to take home a tray of edible decorations handmade with love to use in their future cupcake and cake baking at home. It's been a really exciting journey so far and I can't wait to see where in takes me next!